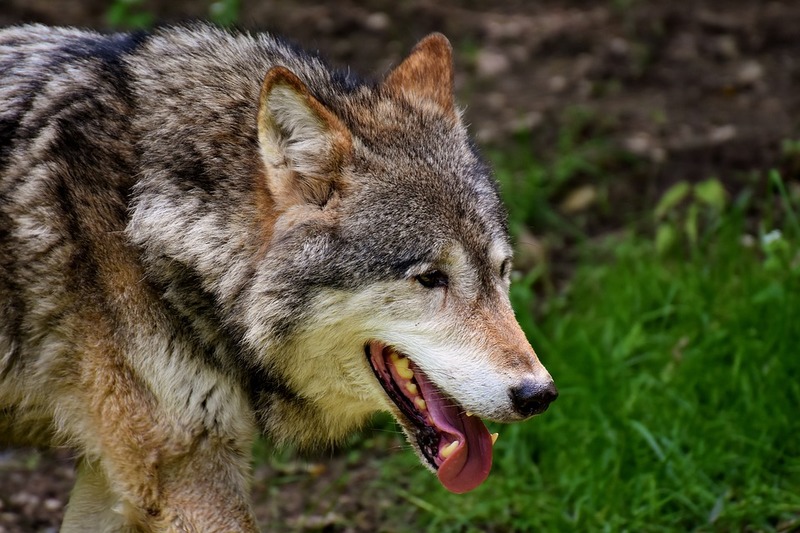 PORTLAND, Ore. (CN) — On National Endangered Species Day, advocates for wolf conservation and livestock lobbyists made their conflicting cases in a public hearing before the Oregon Fish and Wildlife Commission. Oregon’s gray wolf population has been a contentious issue among conservationists and Oregon’s rural ranchers and farmers. Native wolves in Oregon had been exterminated for more than 60 years before some began migrating from Idaho in 2009. At the end of 2016, about 112 wolves were believed to be in the state. The Oregon Fish and Wildlife Commission removed endangered species protections from gray wolves in 2015, a decision that was challenged by conservation groups. In a Friday meeting near the Portland International Airport on Friday, the commission devoted most of the time to its wolf plan. Chairman Michael Finley acknowledged that wolf conservation is a contentious issue, and asked commenters for guidance on policy. “As much as I respect the restoration project, there are places wolves can’t be,” Finley said. After the commission’s wolf program coordinator Russ Morgan summarized the 146-page draft plan, a panel of stakeholders representing ranching, farming and hunting interests spoke of their concerns. A common theme was desire for more local authority to kill wolves more quickly. When a wolf is suspected of killing a farm animal, the commission has authority to investigate it and confirm whether it was a “depredation” by a wolf. The stakeholders criticized that process as inefficient and frustrating. Jill McClaran, president of Wallowa County Stockgrowers Association and a fourth-generation rancher, showed photos of a calf on her ranch that she said was killed by wolves this month. “Wolves do work on the weekends,” McClaran told the commission. Commissioner Bob Webber asked the stakeholders how the commission should make sure it receives good information about depredations. Todd Nash from the Oregon Cattlemen’s Association voiced concerns about the inefficient bureaucratic process of confirming a wolf kill. “It deteriorates the relationship we have with [the commission],” Nash said, adding that ranchers have good relationships with their local contacts who investigate the kills in the field. “You have to backtrack in order to talk ranchers into participating again,” Nash told the commission. A panel of wolf advocates spoke next. Nick Cady, legal director of Cascadia Wildlands, said his organization was troubled by the proposal to allow hunters and trappers to apply for permits to kill wolves. In the past, hunters have shot or trapped breeding female wolves or the wrong wolves, Cady said. “It risks throwing into turmoil the entire wolf management program,” he told the commission. Amaroq Weiss, wolf advocate with the Center for Biological Diversity, said the commission plan that allows killing of coyotes affects Oregon’s wolf population. “In all areas where wolves are recolonizing, they frequently are mistaken for coyotes, or claim to be mistaken for coyotes, and shot,” Weiss said. She added that poaching has been underreported, and that lowering the standard on when wolves can be killed can contribute to more poaching. Quinn Read from Defenders of Wildlife said nonlethal management of wolves should be the first priority, and urged the commission to expand its recommendations for nonlethal methods. Read said the wolf plan should include clear definitions of “probable” killing of livestock versus “confirmed” killing. Robert Klavins, field coordinator for Oregon Wild, thanked the commission for holding the meeting in the Portland area, where more than 60 percent of the state population lives. “And apparently about 2 percent of the parking,” he added, to laughter. Addressing the concerns of the first stakeholders to speak, Klavins said decisions about wolf management should not be in the hands of local officials. “While local control sounds good, wolves and other wildlife belong to all the people in Oregon. All of us,” he said. Having considered the population caps, the commission should drop them, Klavins said. After a break, the commission heard more than three hours of comments from the public, who spoke from personal and professional experiences. “Private land rights are essential,” Netter said, adding that 90 percent of livestock kills by wolves happen on private property. Portland resident Maryanne Erickson came down firmly on the side of the wolves. “We humans have incurred a serious moral debt to wolves,” she told the commission. A commenter who identified himself as Mr. Rupert said: “From the heart, I’m pro-wolf and anti-hunting,” a adding that he worked as a zookeeper as a teenager, taking care of predators. His experience with hunters showed that “wolves are the sweetest target” for them. “When I was a kid hiking in the woods, I wasn’t afraid of bears or wolves. I was afraid of being shot by a hunter,” Rupert said. Neighboring states also have to deal with wolf management. Washington is believed to have 19 wolf packs and has developed a management plan. Its Department of Fish and Wildlife plans to delist wolves when 15 breeding pairs are present for at least three years.